This past Shabbat, thousands of people experienced the beauty of Shabbat for their first time. I’m sure many were touched, perhaps transformed by the experience. But it will fade unless we transform the inspiration into action. This is just a sample of the many commentaries available about last weekend’s Shabbos Project which I previously blogged about. I took some online criticism from well-meaning but less than compassionate individuals who believe that everything in the covenant conditions God gave to Israel at Sinai now belongs to any non-Jew who is a disciple of Yeshua (Jesus), including the Shabbat. Of course, as I said before, I think there’s a certain amount of justification for non-Jews observing the Shabbat in some fashion based both on Genesis 2 in honoring God as Creator, and Isaiah 56 which predicts world-wide Shabbat observance in the Messianic Kingdom. Additionally, based on D. Thomas Lancaster’s interpretation of The Holy Epistle to the Hebrews, we disciples of the Master can and perhaps should behave as if the Messianic Era is already upon us, even though our world is still ruled by darkness; we can behave as partisans or freedom fighters, holding onto our own until the return of the King. Thus there seems to be more than sufficient support for Gentiles in the present world participating in Sabbath observance. My personal caveat is that if you are not observing Shabbat in a Jewish environment by invitation or are not part of a Jewish family, as a Gentiles, please try not to behave in a heavy-handed manner and claim “all your Sabbaths belong to us,” to borrow from a popular meme. I know a convenient excuse for anti-Semitism used by some folks is that the Bible says we don’t have to be respecters of men but only of God (Acts 4:19, 5:29). But we also know from the Master’s teaching not to usurp the place of honor at the banquet, but rather, we should wait to be invited before we are elevated and esteemed (Luke 14:7-15). However, I’m not writing this to be (deliberately) provocative today. I have a unique opportunity in early November when I will be “home alone” for two Sabbaths. That means, among other things, that I can make 100% of the decisions about how I spend my time on those occasions, and I’ve decided to conduct a small, personal, “Shabbos Project” of my very own. It may surprise you to know that I’ve never really observed a proper Shabbat sundown to sundown, Friday to Saturday. My (Jewish) family has never been very observant, so about the best they do is lighting the Shabbos candles and even that doesn’t happen every week. When we were all doing “Hebrew Roots” many years ago, even then, none of us were as observant as we liked to believe. We drove to the Hebrew Roots congregation, and while we often used crock pots for our food, a certain amount of turning on electrical devices occurred. 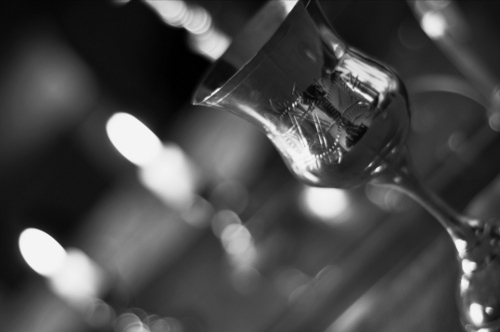 Naturally, we turned lights on and off, we opened and closed refrigerator doors (causing the light to go on and off), we wrote, and no doubt we participated in some or most of the other thirty-nine melachah or types of work forbidden on the Shabbat. It’s sort of like our “keeping kosher” was. We avoided specific types of food but that was that. The so-called “Biblical commandments” without the “man-made” interpretations of said-commandments. But I wonder what it would be like, for me, the goy, to actually attempt to approach observing Shabbat for real. I have two weekends to try it out. I won’t be part of a “project” and in fact, I’ll be the opposite. Where the Shabbos Project attempted to bring together as many Jews as possible from all over the world, I’ll be flying solo, just me and the Shabbat. I’m not a baker, so Challah will have to be purchased, and I think there’s a couple of local stores that sell it. Wine is not problem obviously since I can buy that anywhere. We’ve got plenty of Shabbat candles and the candlesticks on hand, and I have copies of The Sabbath Table and First Steps in Messianic Jewish Prayer to study in preparation. This means no driving, no cooking, no watching TV, no using the computer (thus, no Internet), no opening the fridge (which will be interesting since I’ll probably need to keep some of the food I plan on eating cold), timing whatever cooking I do for Friday night such that it’s all done in time and there’s no clean up (or I can tolerate a mess until Saturday night). It also means planning out my Friday night and Saturday. There are no services within walking distance of my house and in any event, I don’t think it would be appropriate to inflict myself on one of the two synagogues in town. That means I can stay at home and still pray the Sabbath prayers, read the Torah portion (which I do anyway), read Torah commentaries (which I do anyway) and so on. I don’t read Hebrew and I sing like a cement mixer, so the prayers will be in English and I won’t be singing Shabbos songs after Erev Shabbat dinner. Then there’s Havdalah to consider. I don’t have one of “those” candles lying around but I guess I can perform the rest of the rituals (assuming I can remember them, it’s been years). I’m probably missing a lot. I could “Google” something like “how to observe Shabbos” and come up with the basics. In reading A Daily Dose of Torah, some sections mention the melachah, but the commentary seems so involved that I don’t think I could memorize all of the specifics. I think you have to live a lifetime of that level of observance to really “get it down” and as far as I know, there may be times when even a highly observant Jew misses a step or two. Of course, as a goy, I don’t have to observe Shabbat to the level of an Orthodox Jew, so there’s no real pressure to do so. On the other hand, I would like to approach this and accomplish something I’ve never done before, not because I think it would make me a “big deal” and not because I’m somehow claiming my “rights” or “heritage,” but for the reasons I mentioned before, because I want to spend at least one Shabbat honoring God as Creator and summoning, at least in some tiny fashion, a taste of the Messianic future. If you’ve got any ideas, now’s the time. I’ll have two shots at this. The first can be a trial run to help me work out all the kinks, so I can have a better Shabbat a week later. As you read this, I have about ten days until my first go at it. Suggestions? Imagine two people who are very different from each other. This needn’t be a source of conflict. Rather, if each one focuses on how to help the other, then the differences between them will actually make their personalities complementary. Not only will they like each other despite their differences, but rather, because of them. They will even become closer, because their differences provide more opportunities to be of service to each other. Contrast this to those who focus on what he can take from the other. They will quarrel frequently and eventually end up hating one another. 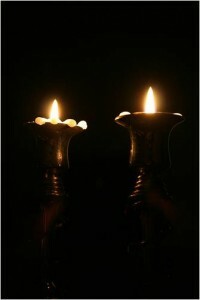 Note that in the absence of a braided, multi-wick havdalah candle, one may hold the lighted wicks of two ordinary shabbat candles together such that their flames intermingle. May you have a joyful Shabbat and a good week. Thanks. Never knew that, but then again, I’m sure there’s a lot I don’t know about performing even a single mitzvah. There is such thing as a frig made with a sabbath mode. In case you’re needing or talking about a new one anyway, you might not want to follow through on a purchase until you locate one (available at least in the nice big French door, freezer-on-the-bottom kind). @Marleen: I’m not buying a fridge so that’s not an option. Someone (via email) suggested either unscrewing the fridge light (which I’ve heard of before) or putting food in a cooler which of course has no light. @Cynthia: This is an approach to the mitzvot I’ve heard before and if I had a lot of time (weeks or months), I’d probably avail myself of such a method, but I’ll have two and only two Sabbaths so I pretty much have to “go for broke”. Well, if you were seriously considering the cooler, you might just as well unplug the fridge so that on the brief occasions when you open it there will be no light and no electricity used to recover from the thermal intrusion while the door is open. The fridge itself is effectively a large efficient cooler; and you could even supplement its retention of the cooled environment by means of a sealed bag filled with ice or by means of pre-frozen camping cool-packs. However, for this occasion, you could take the less-stringent approach of merely unscrewing the lightbulb or duct-taping the door-switch to simulate the door being closed even when opened. Actually, someone on Facebook suggested the “tape” solution, PL. Seems to be the easiest to accomplish under the circumstances. Even to the extent of being unable to use a fridge becasue the light comes on when you open it? Who was it that said: “‘The Sabbath was made for man, not man for the Sabbath”? I recall it was the same One who was regulary condemned for doing what tradition (not God) decreed was unpermissable on the sabbath. Like many others, I’ve been taking one step at a time, and still not where I want to be when it comes to honoring the Sabbath. I usually do my menu planning early in the week and shop on Thursday. This will include everything we’ll need for the entire weekend. I work a full time job, and Friday is the craziest day of all, but have finally disciplined myself to complete what I can by Thursday night, leaving Friday for those things that just can’t get done any sooner. I pick her up from school (an hour and a half round trip) and the goal is to have most of my work done, as well as housecleaning, leaving us the afternoon to cook and prepare the house for Shabbat. My granddaughter’s final preparation jobs are to make sure all the lights are on and to set the table with linen and china (which was a recent gift). I purchased special lamps for the bathrooms that give off a nice soft light and don’t have to listen to the fan going all night long. I recently read an article (can’t remember where) about sharing the Sabbath meal. And I must admit, Sabbath is even better when friends join us. So maybe you could invite someone for dinner or lunch your second go round. In all this, I realize that preparing for the Sabbath is great discipline. Just as we prepare for Sabbath all week long, we prepare all life long for the Great Sabbath! I’ll be praying that your Shabbat is exactly what you need and want it to be! @Onesimus: If I had grown up observing a proper Shabbat, the home would have been organized around that observance. Since my current environment doesn’t reflect that reality, I’m having to do some hasty retrofitting. Most non-Jews who desire to observe Shabbat in accordance with the commandments are ill-prepared to do so. Don’t you think God is worth the extra effort? @Ro: Unfortunately, as I’ve probably said before, given my circumstances, I don’t have the luxury of taking it one step at a time. It’s all at once or nothing. I’ve only got two shots at this and afterward, probably no shot at all, at least not for a very long time. If I want a foretaste of the Kingdom, my window of opportunity is exceptionally limited. Thank you for your prayers. You are most gracious, which, as I’m discovering, is a rare and precious gift. Most non-Jews who desire to observe Shabbat in accordance with the commandments are ill-prepared to do so. Don’t you think God is worth the extra effort? Whoa, Nellie! Let’s not replay the history of Christian-Jewish disputational polemics. James is quite right, “O”, that we Jews have a very long history, both before and after gentile Christians chose to dismiss the validity of Jewish Torah observance, of applying HaShem’s commandment to “make” the Shabbat. Deliberately setting this day apart does require special planning and forethought so that the net result is an extraordinarily relaxing environment. It is in some ways analogous to the extra planning required to make a party or a family holiday gathering special. If you really wish to understand why Rav Yeshua was challenged over Shabbat issues or over how his disciples approached one particular activity (snacking on grain) on Shabbat, you need some historical background regarding differences in interpretation between the schools of Shammai and Hillel, and how their rulings were enacted in differing regions of Israel. You need also to understand that certain aspects of halakhah regarding Shabbat observance were still under discussion and were not yet decided on a wider basis. This was a matter of in-house argumentation and discussion between Jews; it was not an “us-vs.-them” dispute. You really must be more careful about drawing false conclusions when you “read someone else’s mail” (in this case, a report by Jews about a Jewish issue). There is a long history, even before the advent of Christians, of non-Jews being perplexed by and ridiculing the strange behavior of Jews who follow the Torah. It was no more justified then than it is today when done by ignorant Christians. Thank you for your kind words, James. So keep it simple. Prepare now, turn on lights, set a beautiful table with what you have, make the meal special, and splurge on dessert. And one other thing – use the Sabbath Table book to say the Grace after the meal. It is a powerfully moving experience to pray the prayers on a full stomach. @Onesimus: The Bible doesn’t specifically define how to observe the Shabbat, so the verses require interpretation. The Jewish people have been observing the Shabbat for hundreds…thousands of years before Christians ever existed…and yet you decide you can “shoot from the hip” and make up your own rules. Hence the two-thousand year history of Christian anti-Semitism, a tradition you sadly uphold. Please find something else to do. You are not a peaceful person and I have neither the time nor the inclination to spar with you. I’ve been patient, but I will not publish your comments again simply to participate in yet another endless and useless argument. I’m glad you have two full days to experience Shabbat this month. I found keeping Shabbat very hard in the beginning…I would become aware of the day beginning well after sunset, and I did not plan well for either food, or what to do all that long day alone, with no clear idea of what Shabbat was about, what I could or could not do, should or should not do…depending on how Rabbinical or Orthodox they were. Keeping the entire day for being focused on G-d was also very hard…even though I spend most of my time every day focused on G-d. I think I lasted two hours before I couldn’t stand the perfection I was demanding of myself. Then I did a word search on the word Sabbath in my Bible, and printed out the entire list of statements in the five books of Moses that contained the word Sabbath. When you read the statements together, the pertinent idea is to rest. So I rest from anything non-G-d oriented that I do during the week…but otherwise, I have found Shabbat a time of prayer, study, praise, and refraining from doing. But to do that all day long, you really have to prepare if you celebrate Shabbat alone, for there is no family to be talking to, and spending the day with. It makes you entirely dependent on Abba for company, which I was already used to. Filling the hours without doing anything secular, however, it is difficult. I get my food prepared on Thursday nights so there is no rush to meet the sunset. I don’t worry about the electricity these days, since I am solar generated, and mechanically run, but even when I wasn’t solar generated (with battery backups) I never equated the flicking of a switch with kindling a fire, which at the time the commandment was given, rubbing two sticks together was very hard work, whereas opening a refrigerator, and automatically turning on a light inside is mechanically done, and opening the refrigerator is not any more work than lifting a cover off an ice box, and perhaps less. My stove is on all the time, with a small flame lit under each burner, and within the oven as well, so unless I want to put the fire out, which would be a bit silly, I use the stove as well. I leave the computer on, and I make an effort to look at nothing on the Internet except G-dstuff, and even then, if I don’t need to write, using a mouse is hardly work, and very useful to click on a YouTube video or at one of the many University sites that teach about Hebrew, or the Scriptures, or to run one of many lessons I have on DVD, as I do from FFOZ, or by logging on to Aish.com, and watching their lectures..or just listening to them, or to worshipful or classical music. The Talmudic prohibitions about writing letters on parchment, or scraping them off was most likely about someone who was a scribe, and hence made his living by writing might apply to you…I see not being able to write getting in the way of my ministry to write…if I do not write about G-d. Since I need to study Hebrew to understand the Scriptures better, not writing down words in Hebrew gets in the way of my study, so I don’t worry about it, nor about writing to a friend, about G-dstuff…typing over Skype is fellowship for me. Not following the Talmudic definitions of what is restful and what is not leaves me free to ask G-d if I need to follow Rabbinic rulings when Yeshua was often speaking about not keeping Pharisaic regulations He didn’t agree with in each specific case, and I simply get the answer to do those things on Shabbat that are not work, and to not focus on what I want to do, but what He wants me to do, which is rest, and think His thoughts, or at least learn about G-d’s thoughts and ways. I also take my dog out to play, run her up and down my 800 foot driveway in my car, as I can’t run with her on foot, and trained her to run up and down with my van. I make sure my plants in the greenhouse are not being eaten alive by some pest, and I water the seedlings, just as I would feed and water and protect the chickens I hope to get next year…everything else is on timers. But I don’t harvest anything on Shabbat…it doesn’t hurt the plants to go an extra day. If I were physically able, I might take longer walks just for me, but what I do to get my dog her exercise pretty much finishes my need for exercise, and makes me glad to just be studying. I also do my rehab exercises if the every other day pattern lands on a Shabbat, because if I don’t I will lose ground in the healing G-d is doing in me. Sometimes I take a really long hot bath, continuously letting a dribble of hot water flow into the bath…all for the sheer pleasure of it, because it is not something I would do on an ordinary day, and the hot water is kept hot whether I use it or not. Everything I enjoy in the day, I make sure to thank Abba for the blessings He has given me to enjoy, and the Grace I have in Yeshua not to worry about what others think I should or should not do on Shabbat. And as always, I spend a lot of time talking with Abba, what I am reading, or learning, or studying. I find studying Judaic History on You Tube also very helpful, whether it is the wars, the customs, or the holocaust…all is fodder for my conversation with Abba, and I learn a lot that never shows up on the videos. But I sense that you want to experience two perfect days of absolute rest along Rabbinical lines…so, prep your food, turn the lights on before sunset, and make sure you have a lot of variety to read. Get in a lot of special food, and eat it slowly and frequently…Shabbat is a celebration of life, so feast away. Write your prayer list ahead of time, and pray in detail for others. Have your stereo on, and the music set to go, and the computer on, with the You Tube Video’s set up on your computer, and the DVR on some good pre-taped non-secular videos. Make sure to take at least two leisurely walks in your neighborhood if the weather will allow, staying within the lines of your particular ‘village’…no one really can tell you how to far to walk when it is restful, and not to get to work. And if you choose, you can go, and help someone else in their Shabbat, even if it’s only to say hello, and wish them a good day. Your peace may spread in ways you cannot know. Most of all, be aware and expect the Adversary to draw your mind to everything you do not want to be doing on Shabbat…he’s good at it, and still tricks me at least once a month, if not every Shabbat at long last. And if you do something you think you should not do, don’t beat yourself up, because Abba is not looking to see if you mess up, but whether you enjoy the special day He has given you, and remember Him, and thank Him for having it. And remember above all else that Yeshua died because we cannot do anything perfectly under the law…the Grace is to make up for what our best efforts will always be…imperfect. Jesus (Yeshua) lamented over Jerusalem and her failure to repent from the sin of baseless hatred which eventually would lead to the destruction of the Temple and the Holy City and the exile of the Jews from their Land . . . . I do not think Yeshua was exempt from the baseless hatred (as in hatred directed at him). Shavua Tov, Marleen — Certainly Rav Yeshua and his followers were among those who suffered from the effects of the climate of baseless hatred which characterized that era. But I’m afraid I’ve missed your point in posting it here in this stream of discussion. What is it you wish to say? Have you ever wondered how that climate developed? What are the influences that affect an entire culture and shape its common attitudes? In our own time, we can see how the vociferous militant GLBTQ faction has foisted its views upon virtually all discussion of sexuality, family values, marriage, and other related topics. Similarly, we can see the effects of various political philosophies and the degree to which even the notion of “political correctness” tends to limit the acceptable range of discussion. Still more recently, we see effects from the terror promulgated by militant factions of Islam. Setting aside these examples from our own culture, can we identify influences upon Israeli culture 20 centuries ago that impelled it toward factionalism and baseless hatred? I can suggest one such influence. We observed during the rise of Nazism in Germany how various kinds of brutality numbed the moral senses of large segments of the German population. We could note also how a climate of fear tended to isolate people from one another, so as to avoid becoming involved in someone else’s troubles and bringing similar troubles upon oneself or one’s family. Such a climate favors the notions of “every man for himself” and “look out for number one”. We may extrapolate similarly to the period of Roman occupation and its consequent oppression. I suspect that a similar climate of fear inhibited the Jewish population from following the implications expressed in Rabbi Hillel’s famous observations: “If I am not for myself, then who will be for me? And if I am only for myself, then what am I? And if not now, when?”. Hence in place of the notion of the unity and interdependence of the Jewish people as a whole, all of whom are responsible to care for one another, we find more self-defensive impulses to protect oneself and one’s own little group of Sadducees, Pharisees, Essenes, Zealots, or even Messianists against all the others. Of course, even if we could trace how the climate developed, it might be of little more than intellectual interest, because of the overriding importance of recognizing the malady in oneself and seeking to correct it in favor of thoughtfulness such as expressed in Rabbi Hillel’s observations or even the Torah’s love of one’s neighbor that both Hillel and Yeshua emphasized. That task faces us in our own generation just as it faced the Jews of 20 centuries ago. Now we may find that some or much of this malady in our era is impelled by outdated “intellectual baggage” held over from prior generations. Nonetheless the lesser issue of where did we get these notions must give way to ridding ourselves of them and the metaphorical exile of isolation that they produce. My point being they weren’t just having a friendly conversation when Yeshua was challenged at times about Sabbath and what he and/or his disciples did. Yes, today, too, people should be careful about pointing at others as if they are doing something wrong. “[?] Have [I] ever…” I have indeed thought about or “wondered” — even been committed to the understanding of — “that climate” and “how” (at LEAST in part the way you said) it “developed.” I often try to refer to it, but people are usually more interested in other things. It is an important point that Yeshua not only wasn’t doing something “wrong” (says whomever by whatever measure) but that he did keep the Sabbath and did not tell “the Jews” — nor common Jews — not to (or to “fudge” it here and there) or that Torah didn’t matter to him.